Our publication gets thousands of views every day from people from all over Norfolk & Suffolk, so we’re always looking for new sponsorship partners who wish to advertise with us. 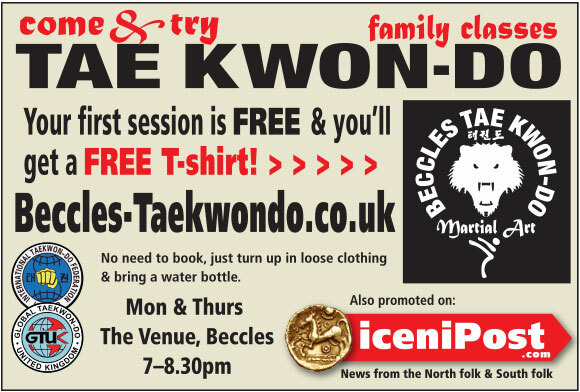 Iceni Post Online Advertising Opportunities for our Sponsors means your editorial and banner adverts will be seen by thousands of site visitors in the first week. Iceni Post also helps lots of charities and non profit organisations to promote their events for free, so your sponsorship helps us to help them too! Become a Sponsor of Iceni Post, and we can publish and promote your editorials to our readers every week! An editorial is republished in the current weeks entries every week or month depending on your advertising account. This also allows you to send in updated info whenever you wish. Your editorial information is always available on Iceni Post via the search box, our archives menu, and the Google & Bing search engines. All newly published editorials appear in the Business category. We can add a link to your web site, with optional email links, and can also add a linked PDF file of your leaflet or catalogue that viewers can upload and read at leisure. We can also embed your YouTube videos. All we require to get your promotion started is for you to email us your information. About 400 to 500 words(Word Document) about your business for an editorial, 2 or 3 photos(jpg), and your web site address. YouTube videos can be embedded in the editorial. We then set up the page and publish it for you to see. Would you like to have a banner showing down the right side of over 10,500 pages advertising Your Business on iceni Post? Banner in the right column of every page linking directly to your own website, or your editorials if you have placed any. This can be changed regularly for promotions. Iceni Post has over 10,000 published and indexed pages available to view, alongside which the banner will always appear. Payments are required in-advance, but we do not invoice you until the advert/editorial is first published. We will email you an invoice as a pdf file with payment options which include PayPal. FREE Editorials for Non-profit Organisations and Charities. If it applies to your organisation, we Offer FREE Editorials for Non-profit Organisations and Charities, subject to the Editors approval. We hope this helps with understanding what we do to promote our customers businesses, and look forward to hearing from you soon.